If you’re looking for a refurbishment in London, we’re happy to help. If you want to refurbish and renovate your home or office space and building according to modern day trends and standards, Breslin Construction can provide you the best quality you can get with skilled technicians and certified engineers in our staff. Whether it is the whole place to renovate, or just a small portion of your property, we promise you that the project will be undertaken and completed with special attention and dedication in order to ensure that the end results are exactly as you wanted. We spend as much time as needed to hear your plans first and then design the whole project, keeping in mind your preferences and requirements. Our team of painting and decorating professionals will make sure that your property will get the best interior and exterior along with other features like fire safety, intruder alarm systems, or emergency lights to be installed if asked. Whether it is a kitchen, or bathroom installation, or plumbing and heating system for your place, our contractors are fully trained and experienced to work with the commercial and residential sector and have undertaken and completed several projects for a wide variety of satisfied industrial, commercial and retail customers. 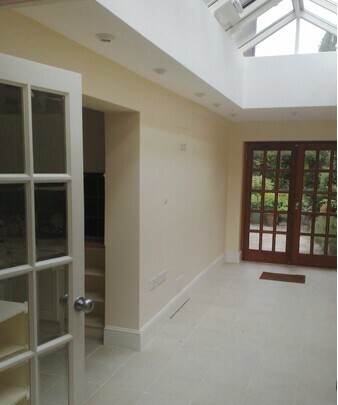 Contact us for your refurbishment in London today.